Giorgio Armani made his mark by redefining tailoring for both sexes, fusing comfort with a sleek, unfussed elegance. 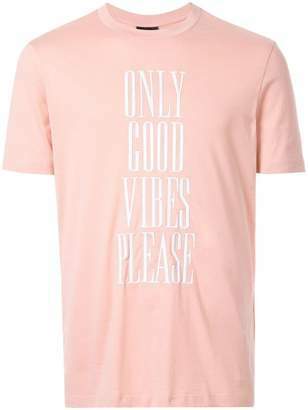 More than forty years later, he continues to play along familiar lines. 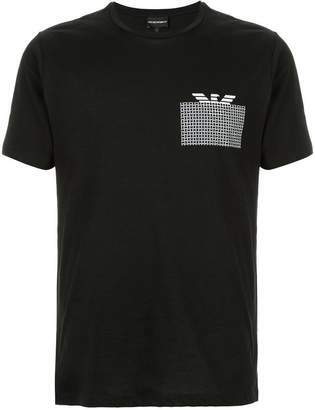 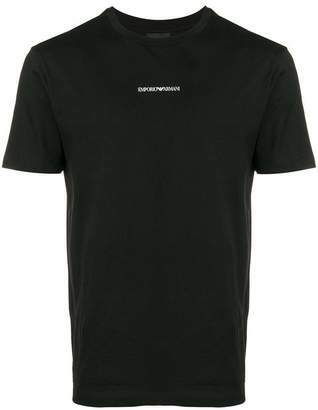 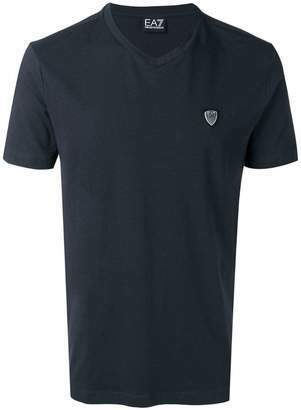 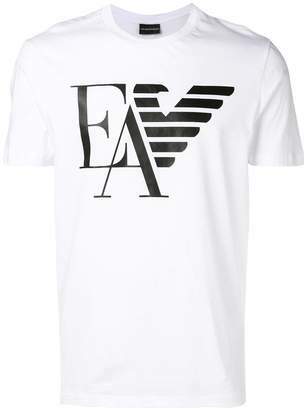 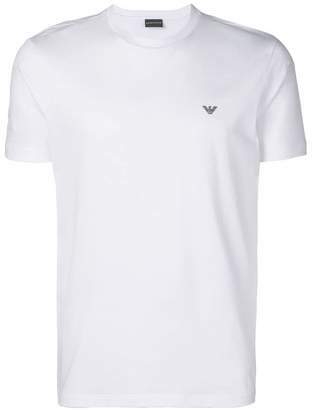 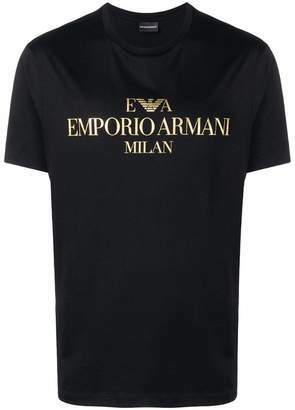 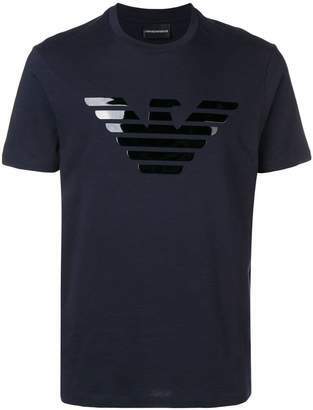 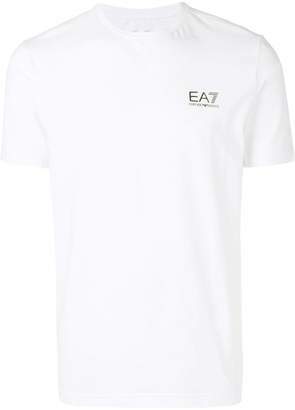 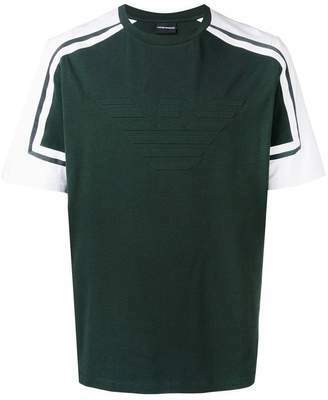 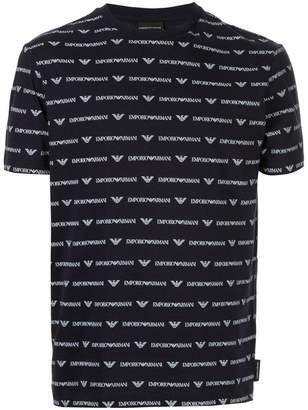 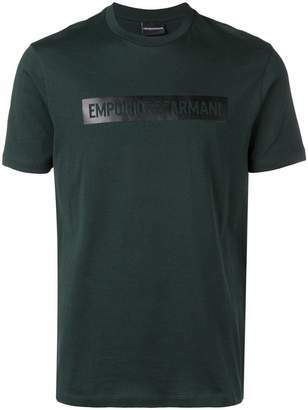 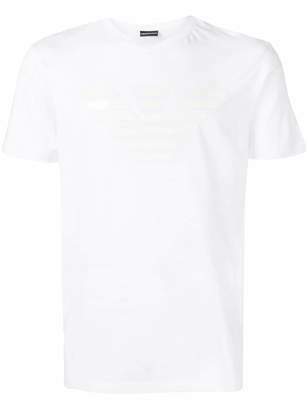 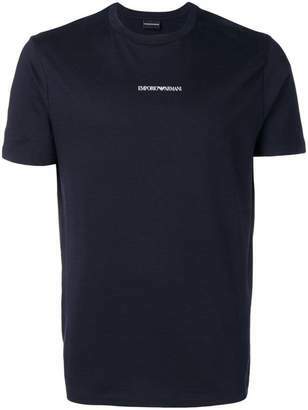 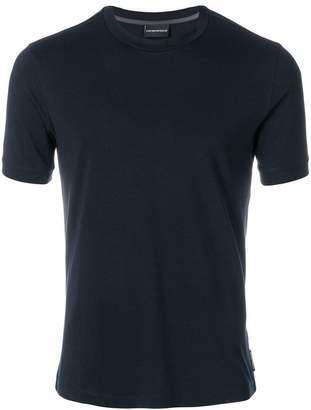 This white logo T-shirt from Emporio Armani features a round neck, short sleeves and a printed logo to the front.